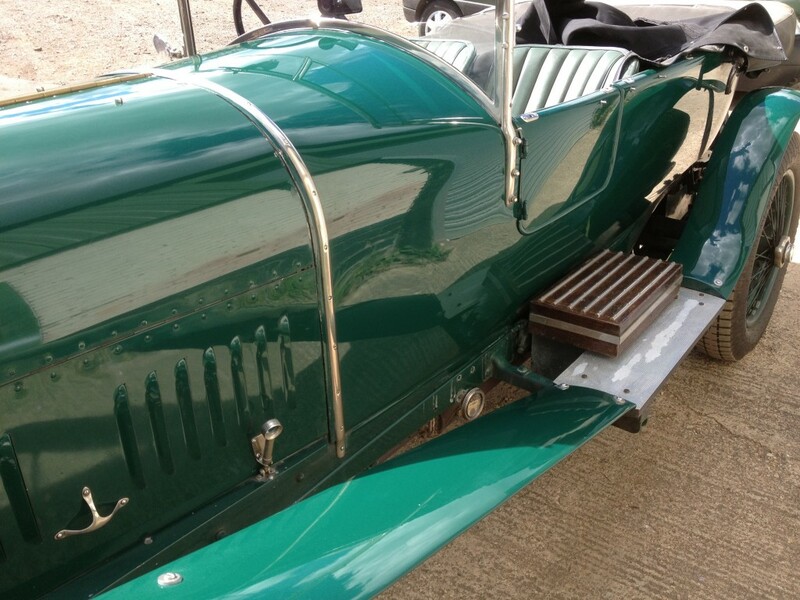 Although this was a relatively small job I could not resist and just had to put a post up about this car. 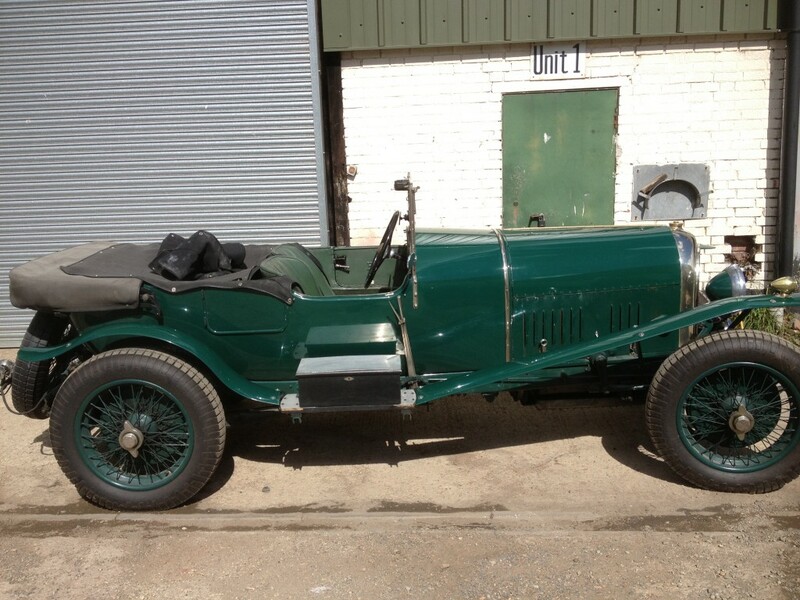 This 1925 Bentley 3 litre is used for hill climb events by its owner. 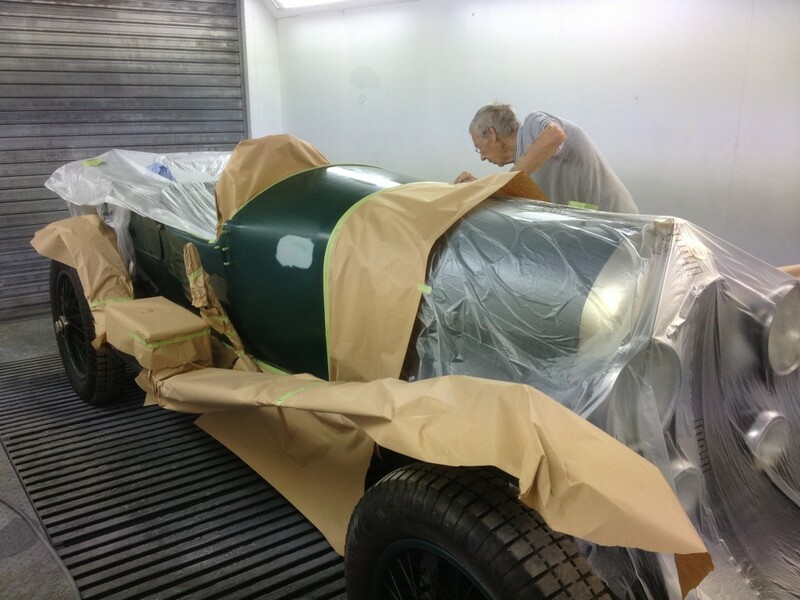 The vintage Bentley was taken to us as some of the old paint had come off when racing numbers where removed from the giant side panels and the owner wanted this area tidied up in perpetration for upcoming shows and events. Obviously the colour match and finish where a priority so the reprinted area would look totally original. It was a real pleasure to see how simply the Bentley was constructed. A basic wooden frame with a nailed on aluminium skin and wooden plank floor. 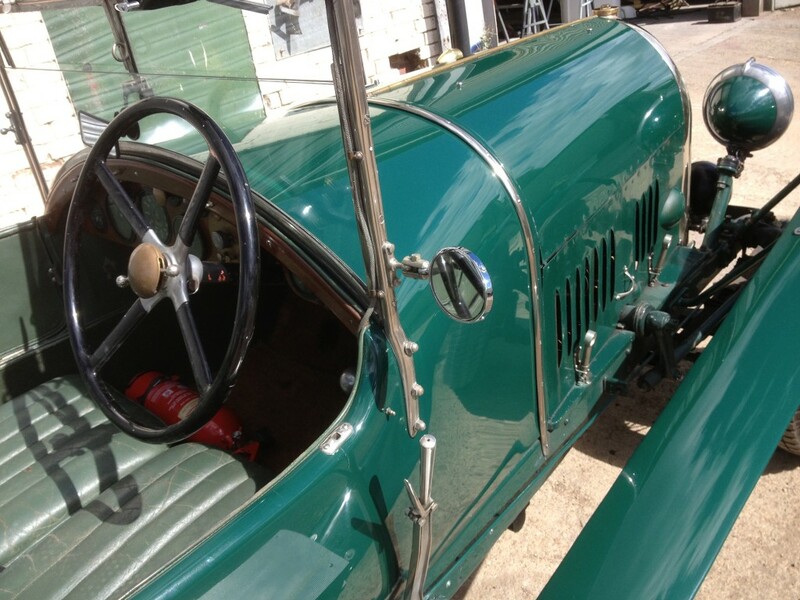 This entry was posted in Paint jobs and tagged Bentley, Vintage paintwork by The Paint Shop Pros. Bookmark the permalink.